Easiest Cauliflower Couscous Salad - Fresh, Raw, and Healthy! 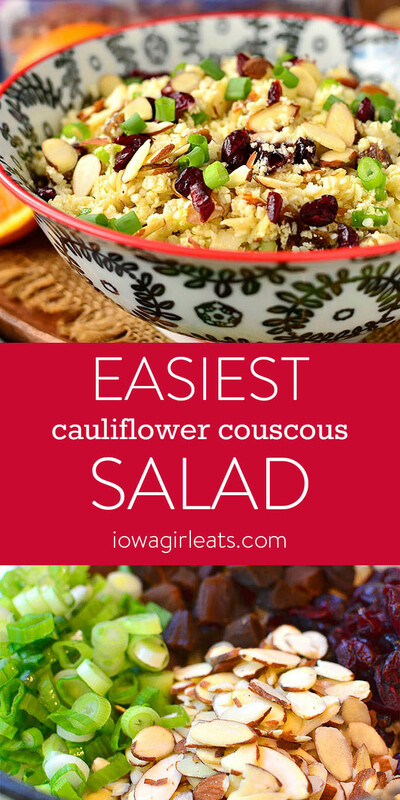 Easiest Cauliflower Couscous Salad is a raw, fresh, and healthy gluten-free salad and side dish recipe that comes together in minutes. Sponsored by Fisher Nuts. It’s side dish tiiiiiiiime – said with the same tone and enthusiasm as DJ Pauly D when he announces it’s T-shirt time. If you have no idea what I’m talking about, I promise it’s better this way. If you DO know what I’m talking about – judge me. It’s fine. My husband does! Anyway, I’m sharing a fun little side dish/salad/potluck/picnic option that’s not only outrageously healthy and fresh, but gluten-free, raw, and best of all, takes 10 minutes to make. Definitely enough time to call a cab. HA! Ok I’ll stop. 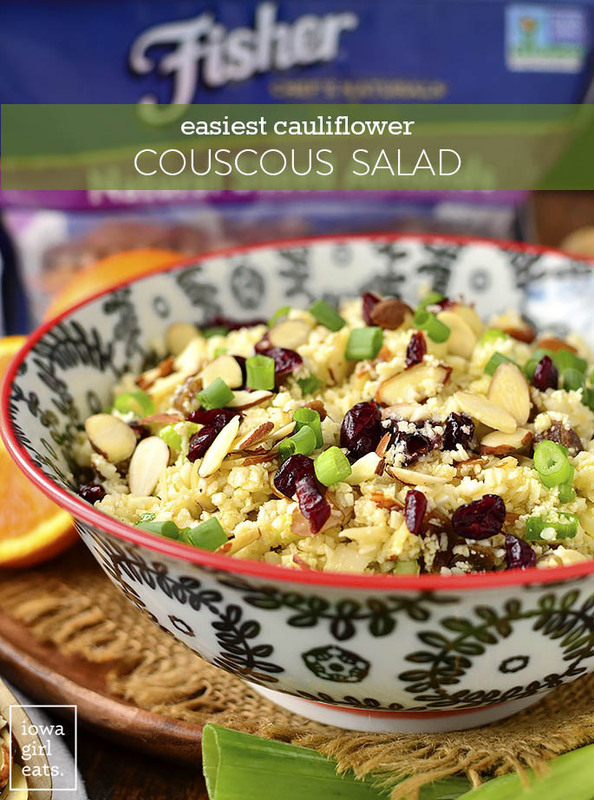 It’s Easiest Cauliflower Couscous Salad, you guys! I know, I know – cauliflower is facing a little bit of backlash these days because of the crazy ways and places people are using it, but trust me when I tell you that replacing couscous (which is not gluten-free,) with minced cauliflower in this light and summery salad not only WORKS, but is totally delicious, refreshing, and fun to eat too. First though, Easiest Cauliflower Couscous Salad is sponsored by my friends at Fisher Nuts. 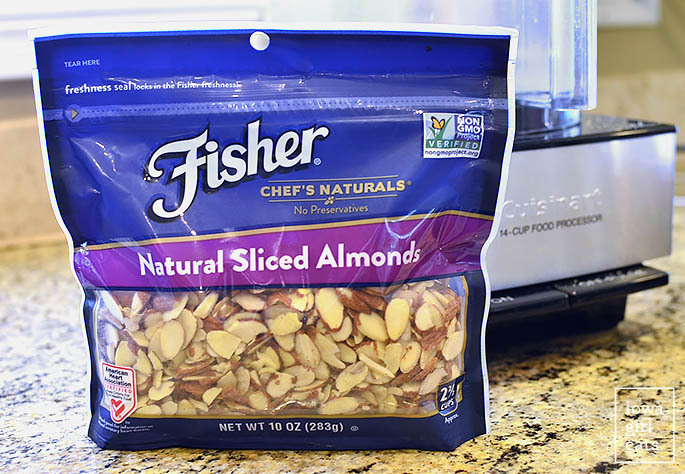 I’m on my FIFTH year working with their fabulous, preservative-free nuts, and this light side dish contains a heap of Fisher Naturals Sliced Almonds which not only add crunch and flavor but a boost of protein and magnesium. I’ve had the worst pregnancy-induced RLS starting at 9:15pm on the dot each evening, which can be caused by a lack of magnesium. That said I’ve been trying to eat food high in the mineral any which way I can, including in this salad…and overflowing in my daily cup of Greek yogurt. Yum! Anyway, look for Fisher Nuts in the baking aisle, vs snack aisle. I buy them at HyVee and Walmart, though you can order them on Amazon, too. 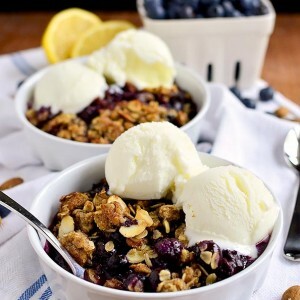 Their website also has a ton of fresh and fun recipes to browse through for inspiration! 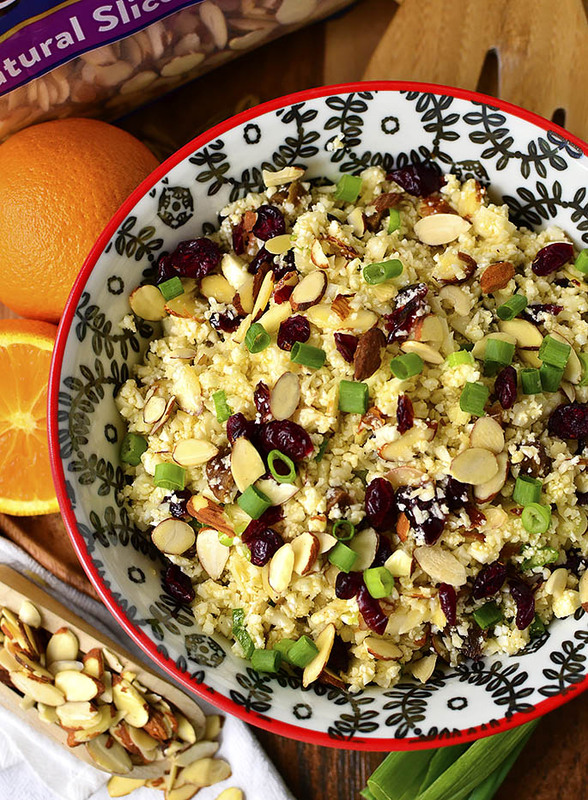 This couscous-inspired salad is not only super healthy, but named “Easiest” for a reason. Not too many ingredient (5 in the actual salad, to be exact,) comes together in about 10 minutes, and truly you can use or add whatever you have in the fridge and pantry, keeping the cauliflower couscous as the base. Making this in the fall? Add chopped pears or apples. In the season that shall not be named? Citrus segments would be a dynamite addition. 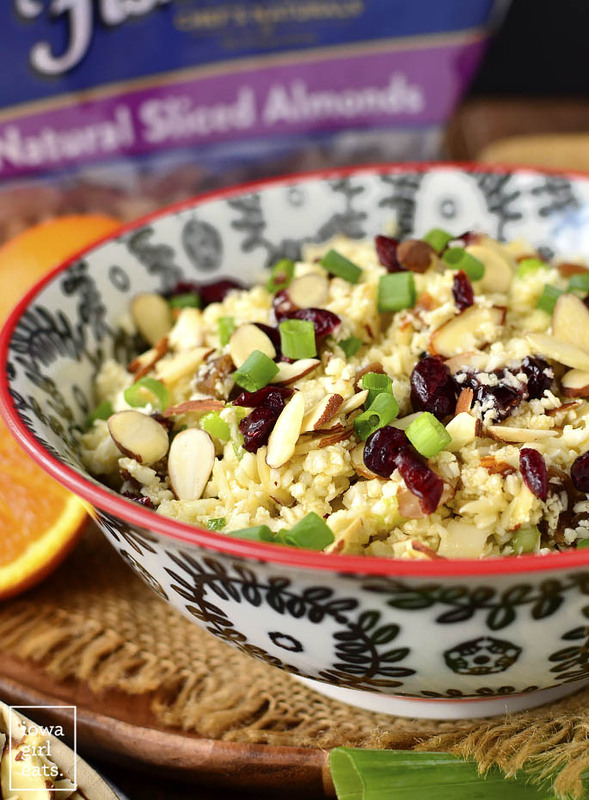 For summer, I went with the sweet and savory combination of dried cranberries, apricots, green onions, and the aforementioned sliced almonds, drizzled in a tangy orange, honey, and cider vinegar dressing. BOMB. Serve alongside grilled chicken or fish as a fresh side dish, or scoop into bowls and enjoy as a crunchy, flavor-packed salad. Ready to rock? Start by separating 1 small head cauliflower into big chunks then add to the bowl of a food processor – there should be 6-7 cups total. Pulse until the cauliflower is finely chopped but NOT mushy. We want lots of texture in this salad! By the way, I’ve had my Cuisinart Food Processor for years and years and LOVE IT. Definitely worth the investment – I use it at least 3 times a week. As you can see, the cauliflower is broken down into really fine pieces that resemble couscous, but still has a lot of texture. 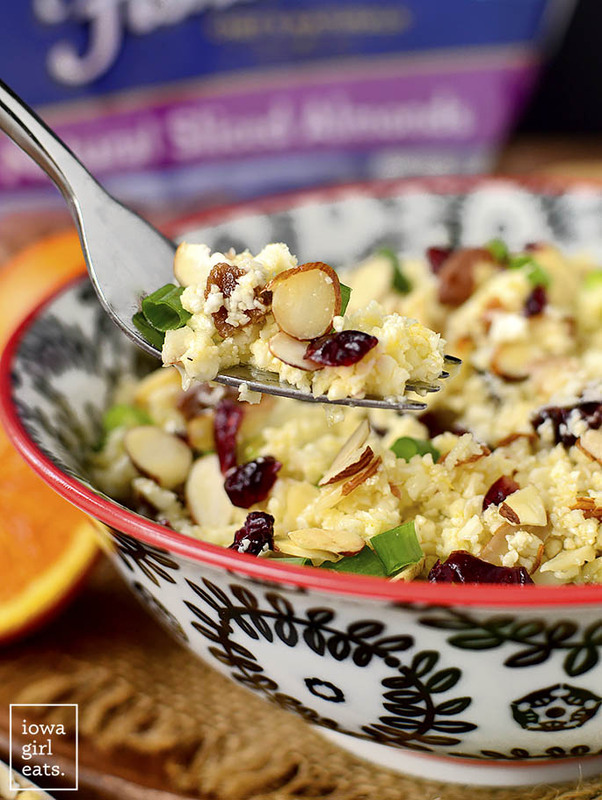 Add the cauliflower couscous to a large bowl then add 1/2 cup Fisher Naturals Sliced Almonds, 1/3 cup each dried cranberries and dried apricots, and 2 sliced green onions. Next whisk up the dressing. 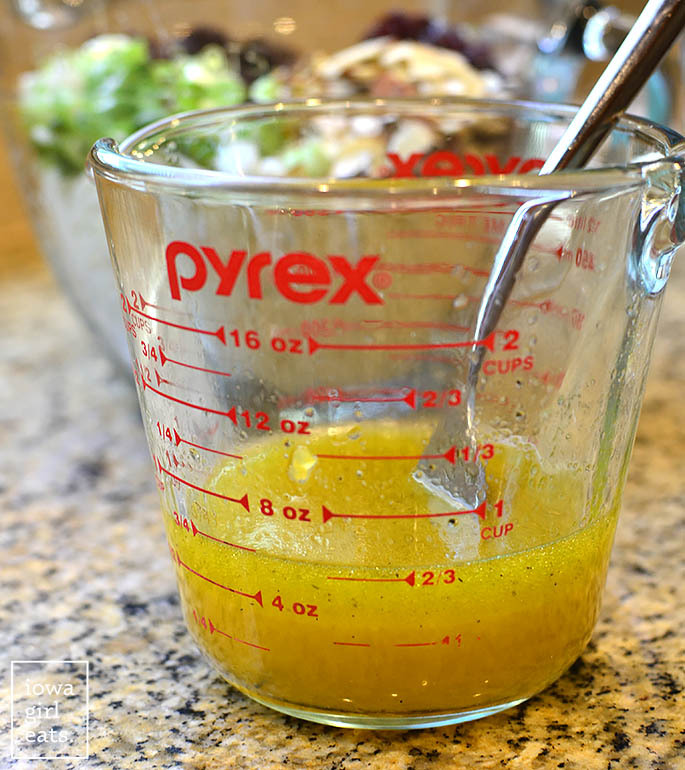 That’s 6 Tablespoons each extra virgin olive oil and fresh squeezed orange juice (1 – 2 oranges), 3 Tablespoons cider vinegar, 1-1/2 Tablespoons honey, salt, and pepper. Whisk with a fork then pour half over the salad and toss to combine. Taste then add additional dressing if you like, then serve it on up. That’s it – 10 minutes, and this fresh and healthy side dish salad is ready to rock. Perfect for summer, fall or really any time of year. I hope you love it – enjoy!! Easiest Cauliflower Couscous Salad is a raw, fresh, and healthy gluten-free salad and side dish recipe that comes together in just 10 minutes. 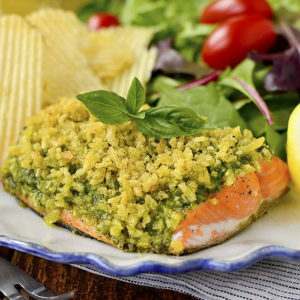 Serve alongside chicken or fish for dinner, or take to a potluck or picnic! 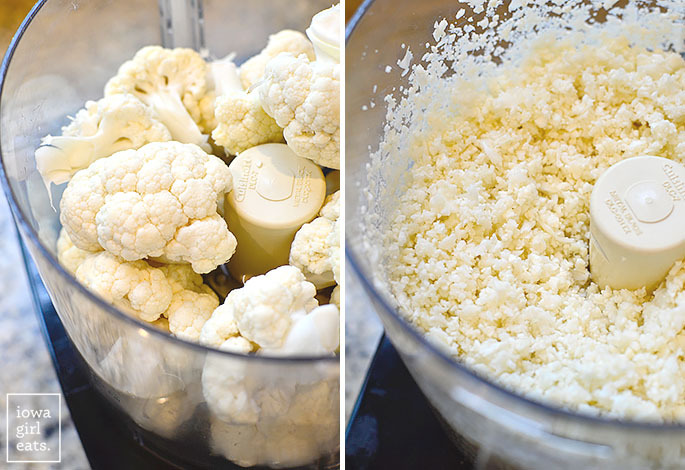 Add cauliflower to the bowl of a food processor fitted with the S-blade. Pulse until the cauliflower resembles couscous - that is, small bits but NOT mush. 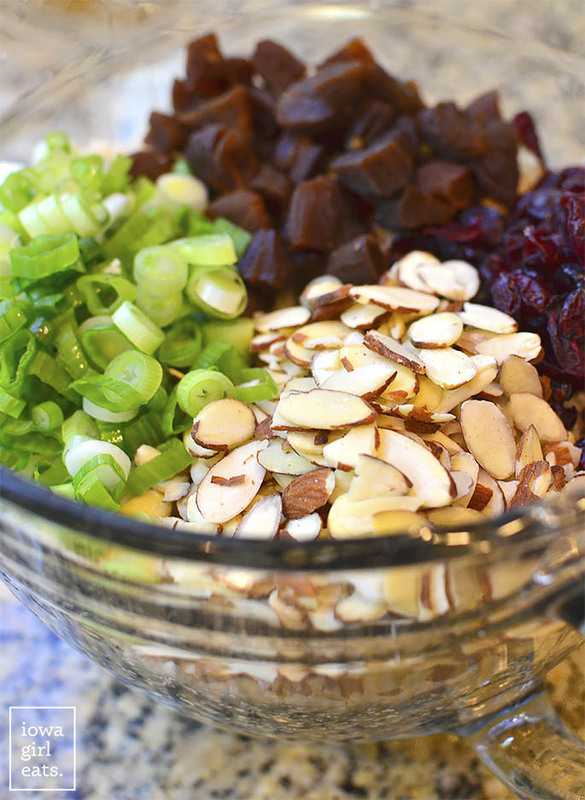 Pour into a large mixing bowl then add almonds, dried cranberries, dried apricots, and green onions. 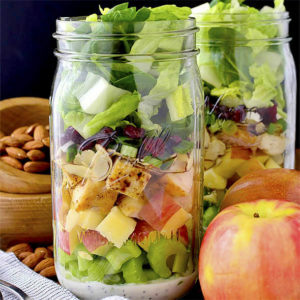 Add dressing ingredients to a jar with a tight fitting lid or bowl then shake or whisk to combine. Pour half over the salad then toss to combine. Taste then add additional Tablespoons of dressing until desired coverage is reached (may not need it all.) 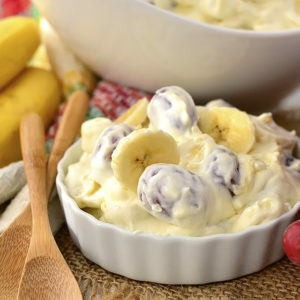 Serve immediately or refrigerate up to a day ahead of time before serving. A-this looks wonderful and I love all the cauliflower! B-I also love Pauly D, no shame in my game. C-Pregnancy RLS is THE WORST!!! Heating pad under the legs was my only salvation! I was thinking about your heating pad solution last night in bed…except it was still 80 degrees outside at 10pm! 🤣 Definitely remembering this trick for the future though! Sounds delicious, and that dressing too! 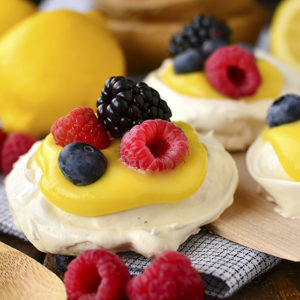 It’s the perfect balance of sweet and tart – love it!! I was just thinking that I’ve gotten in a rut with steam in the bag veggies. Not sure how many more steamed veggies my family can take. This looks amazing and so healthy — it’s on the menu list! I feel you – we do SO much baby carrots and peas. I hope everyone loves it!! I am all about the cauliflower! I think either you love it or you hate it for the most part! I think so too, though I really do bet that even haters would like this salad since the cauliflower is so transformed! This is going to the family reunion in August! HAHAHA I loved the line about the same enthusiasm that Pauly D has for “it’s t-shirt time!” There is no judgement from me!! This looks like a great lunch idea for work-trying next week! I hope you love it, Melony – it packs and travels really well! This looks delish! 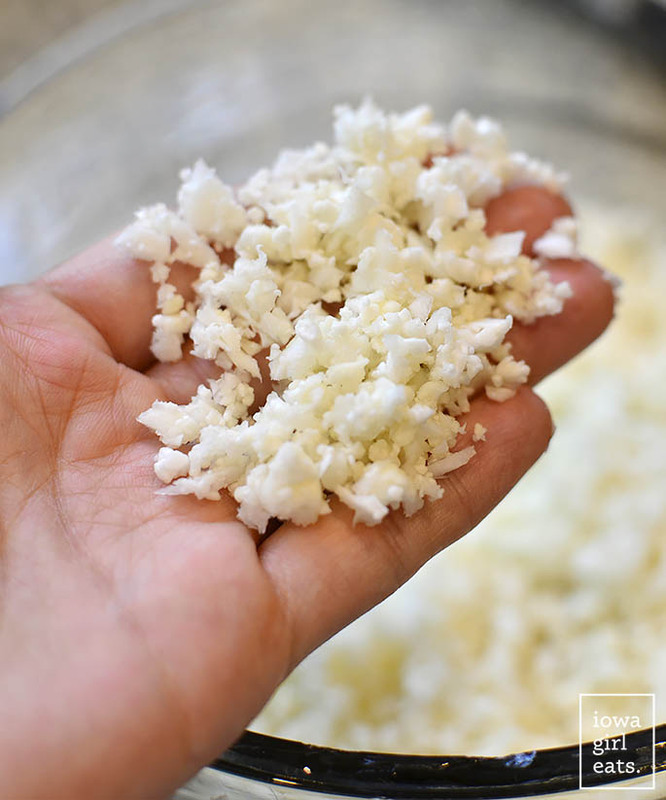 Do you think you could use the pre-shredded cauliflower rice that is literally found everywhere? Or does the texture need to be finer than that? Also, are those beets in the photo? Trying to figure out what the pile of purplish looking something is… purple carrots? Beets? Don’t think those are dried apricots….? Thanks for sharing! You could! The texture will be different but it could work in a pinch or if you don’t have a food processor. The ruby red colored food is dried cranberries and the dark orange food is dried apricots – they are unsulphured so the color is very dark vs light orange. 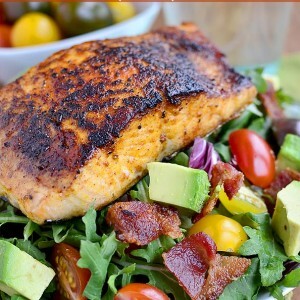 Love how eyecatching this recipe is. 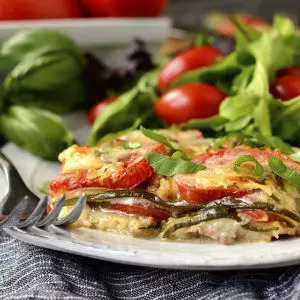 My husband likes to eat low carb and this dish looks like a winner! This was so easy to make and really delicious. It does lack a little flavor but I added some extra cranberries and apricots and orange juice to the dressing. Will make again for sure!! Thank you! Thank you so much for your feedback and star rating, Deb, I really appreciate it! 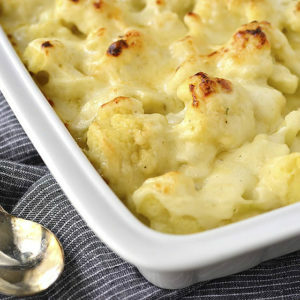 a very nice way to dress up a really boring ingredient, cauliflower, so thank you, appreciate the recipe!